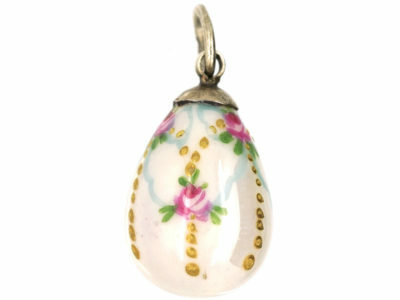 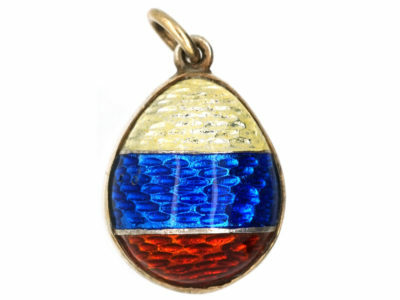 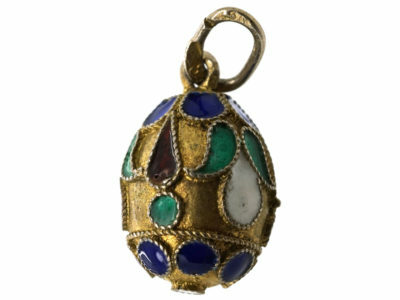 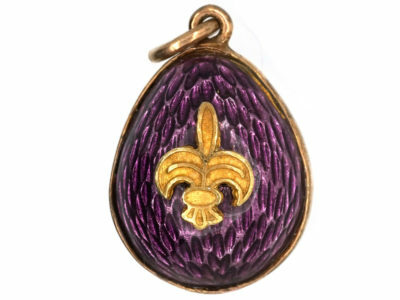 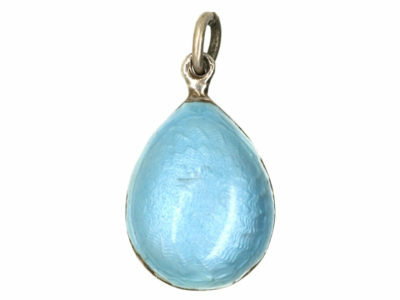 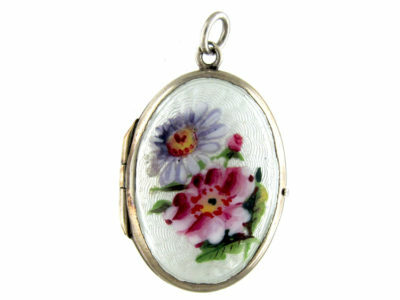 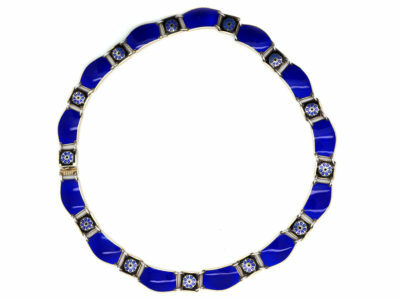 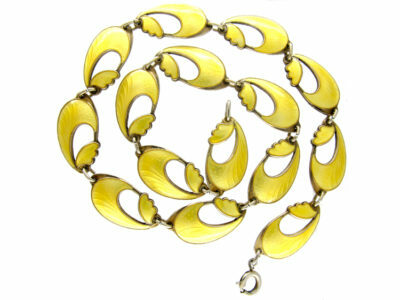 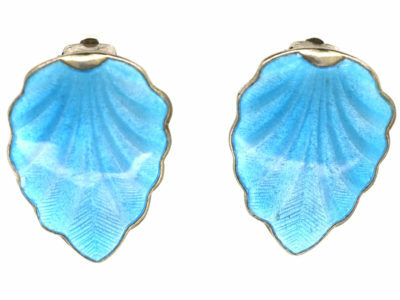 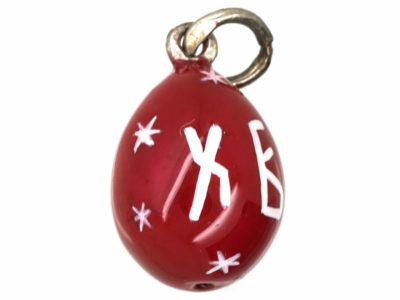 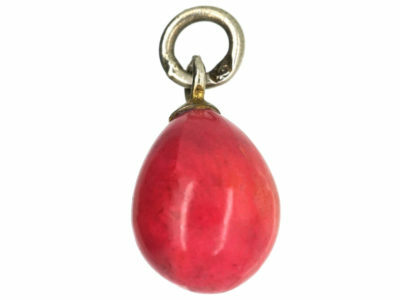 A rare silver and enamel Russian egg pendant. 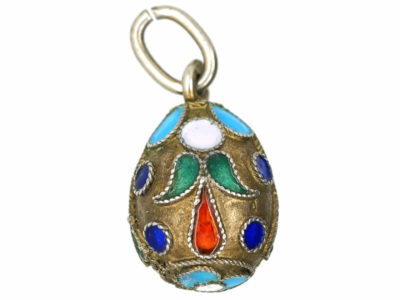 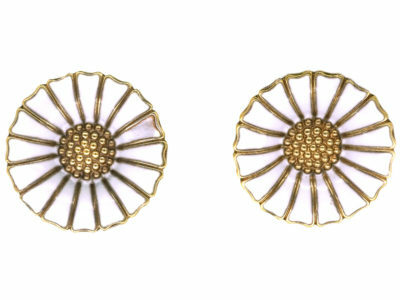 These eggs are very sought after as they were made in the early 1900s before the Russian revolution. 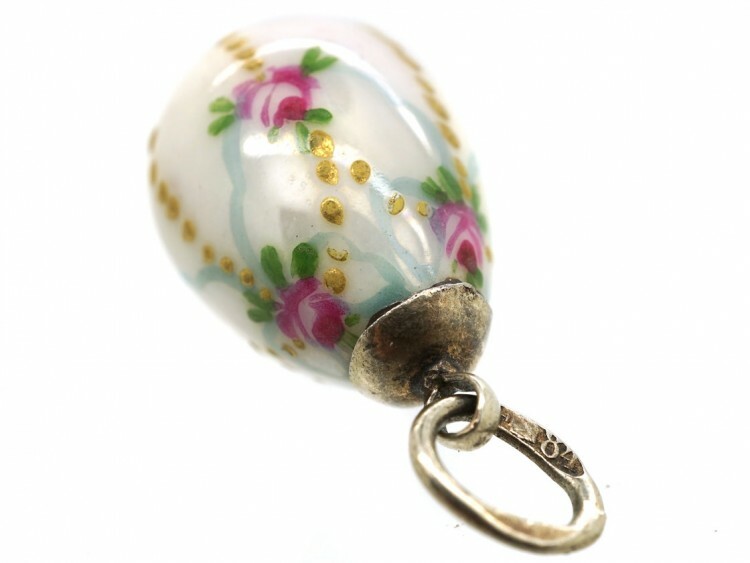 It is a very pretty egg with fine detail of flowers and swags all around.